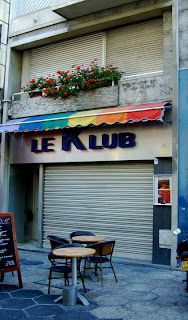 As a first entry into the league of gay clubs in Nice I'm going to start off with a recommendation of Le Klub. Located at 6 rue Halévy, just a block from the beach along the Promenade des Anglais in the popular pedestrian district of Nice. This is one solid club to hit. 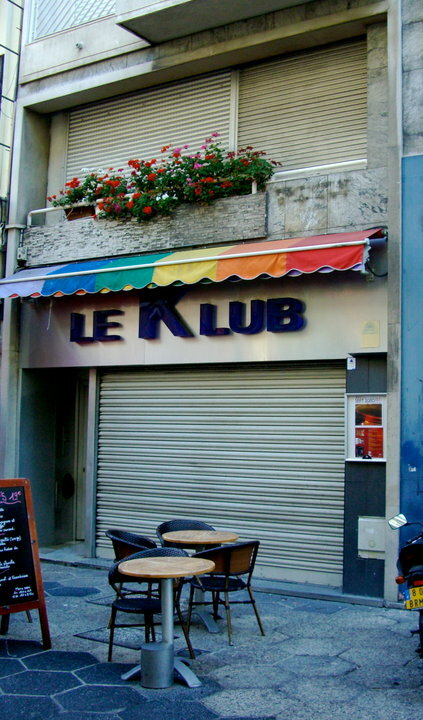 Le Klub has had a gay following since it first opened in September of 2000. 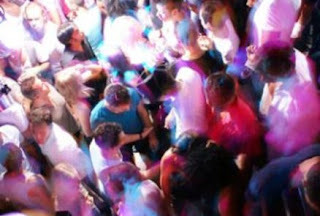 It seems to be what the club scene really needed in Nice, and it continues to thrive along with many other gay nightclubs and bars that have opened up over the years in the city. 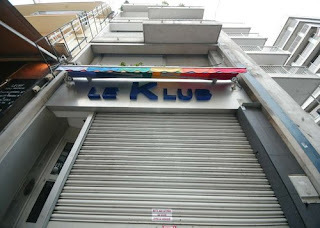 The main demographics of Le Klub are what I would guess is the age group of 20 - 40 years. Although I have seen people of all ages and sexual orientations there having a ton of fun and mingling with people from every type of lifestyle in the GLBT community. Top DJ's from all over Europe and the rest of the World have played at Le Klub, if they are popular or up and coming, they are brought in to spin. You'll hear Techno, Tribal, Old Skool, House, Top 50, everything. Le Klub has quite a few themed nights too, especially in the summer so check out their website to see what is coming up. Do not miss the drag shows! The club itself encompasses, from what I could explore, about two floors and looks like it has a capacity of about 300 people but probably a whole lot more. It may not sound like much but that makes it tight and hot! Picture shirtless men, sweating and dancing. Le Klub has a large dance floor, bars, and the upper level feels a bit more lounge like where you can look down on to the dance floor below. It's also easy to hook up in some secluded areas too. Overall, a very lively and fun place. And don't let my picture of the entrance during the daytime fool you. It may look like a tiny place from the outside but its a whole different scene inside, and even out front of the club at night its very social. All nightclubs in Nice are now non-smoking, some I have been to though have their own makeshift smoking rooms. And some people still sneak a smoke out in the open here and there. In the Winter, they are open from 11:30pm to 5am, Thursday to Sunday. In the Summer I have seen them open for more evenings and a bit later, like 6am. The crowd starts to go for around Midnight. The cost of entry I have paid has been from 10-15 euros but that usually includes a conso. Drinks, I have found to be reasonably priced. They also have some free entry nights too, like Sundays. All of this again depends on the time of year, theme, event nights, DJ's, etc. I have also never had a hassle to get in, if there is a line up, it keeps moving. I've always had a great experience with the staff, they seem to enjoy their jobs and are totally suited to this work environment. Nice has a fantastic gay community, on every visit I see it growing and becoming stronger. In conversations I have had with some managers and owners of these establishments, they really seem to support each other. I asked too about competition, of course it is there I was told, but they see more of a benefit from helping rather than hindering another gay business. I always hit up Le Klub whenever I visit Nice, even if you plan on having a night of club hopping, make sure you stop in there. I always think I haven't really been to the clubs in Nice unless I come by. It appears Le Klub closed for business a couple of months ago! Damn, that was a fun club.